The following post is transcript of a recent webinar on “Decentralized co-operation at scale. What patterns work? What are the main drivers and hindrances?” organised by our friends from the Digital Life Collective. The discussions covered many of the subjects which will be discussed at the OPEN 2018 conference and are a great intro to the challenges of organising decentralised co-operation at scale. I write books about media, technology, and culture. I’m interested in economics and in particular digital economics over the last ten years or so. I’ve been discouraged by the many blockchain events in New York this week and how quickly they focus on capital accumulation and I’m interested to be restored with some good knowledge about how these technologies are being used in earnest to help people work and create together. I’ve been working for many years on the field of collective intelligence all over the world and seeing first-hand how collective intelligence is not this, is not that – it’s a field of study and a whole science in itself. Life has really got me into regenerative economics and cryptocurrencies. I implemented my first crypto currency in Mexico in about 2008 and that is a mutual credit and is still there today. As with Douglas, I’m interested to see how we create patterns that create wellbeing and prosperity and can actually shift how people live. I know that we live in times when everything will change, but I still can’t build a picture in my mind about what exactly will have shifted. I’m very interested in that question. I’m a lead from the Open Coop in London and we’ve existed since 2004 to encourage the development of a collaborative group of people who are committed to creating a collaborative, sustainable economy. In the last two years, we’ve organized the two-day Platforms Coop conference in London, with the next one coming up in July this year. I’m interested in trying to network the networks in order to grow a larger group of people who are committed to building a sustainable collaborative environment to rival our current destructive economy. Particularly in methods of collaboration, we’re all very good at using the word Collaboration as a species, but we’re missing the crux of what it takes to actually be collaborative and work collaboratively. We’ve seen some good examples of that in terms of software and maybe information, but we have a long way to go before we can truly say we’re being collaborative and cooperative and I’m interested in technologies that can help assist this and methods of working that make it the norm rather than the exception. I’m representing the RChain Cooperative based in Seattle, Washington, US. Our goal is to create a platform and tools by which people can design cooperative structures, sometimes called cooperatuve games in game theory. 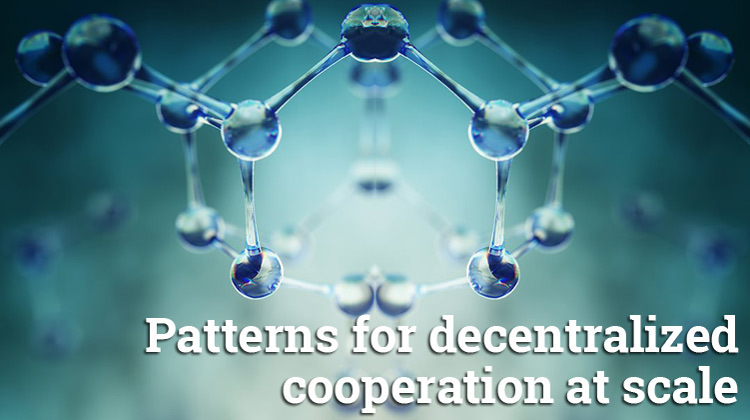 We think that the tools of incentives and networks could be very beneficial to advancing the means by which the collective community can not only communicate, but also coordinate. I’ve been an enthusiast of the web since its earliest days and then dismayed at the web in its later days. I’m just about trying to come up the other side of that huge dip, trying to rekindle an enthusiasm for that digital fabric actually doing something slightly more worthy than surveillance capitalism or mass state surveillance. I came quite early to sovereign technology (self sovereign technology as it is now prefixed) with the hi:project which was a realization that if you don’t own your interface into and onto this digital fabric then, by definition, someone else does. Your interface will thus be encoded by their values and motivations rather than your own and so, to me, self-sovereign technology must start with both a self sovereign identity and a self sovereign interface. From that experience of trying to bring the hi:project to reality, a number of us started to realize that we can’t rely on markets to move this forward, we can’t rely on governments to move this forward, and the only thing that’s left is for us to cooperate. That’s when the Digital Life Collective came into being with the simple mission of trying to nurture Tech We Trust: if we can’t trust our technology, we can’t trust ourselves, and if we can’t trust ourselves, we can’t trust each other, which doesn’t bode well for decentralized cooperation at scale. One of the first things people are interested in around the decentralized web is of course money and blockchain and economy and so our first question for the panel is: what are the strengths and weaknesses of blockchain technologies in the context of co-operating at scale? I have several concerns about the greenness of the blockchain and I’d love to hear what you have to speak to that. I might be speaking to older blockchain technologies, but when I look at blockchain from a sort of martian-eye view, I see a planet with a profound energy and resource crisis burning resources and expending energy to prove the value of a symbol. It’s odd because it’s hard enough for the planet to sustain capitalism’s actual demands, but now for the planet to have to sustain the virtual demands of capitalism that are potentially infinite is scary to me. My other issue with the blockchain, at least in how it’s used to collaborate now, is that it doesn’t tend to engender trust between people but rather substitutes for trust in a new way. Rather than trusting a bank or organization or foundation to somehow be the arbiter and judge, it feels as if I have so little trust in institutions and other people that I will trust this technology that I don’t really understand to do it. I’m coaxed into allowing the technology to be the arbiter because maybe, someday, these tokens they are using will be worth a lot so there’s at least this rainbow at the end of the thing. I had a similar falling out with the net because of the way it doesn’t allow for the kind of rapport we get in real life and rather than blaming the technology for the low fidelity of human to human rapport and the inability of the technology to allow oxytocin and all those great hormones of human connection to happen we tend to blame the other person and we trust the technology as if it’s not a filter and we think the other person somehow is instinctively duplicitous or cheating us somehow because I didn’t get that oxytocin hit that I usually get when someone nods or agrees with me so I’m suspicious of that and I’ve steered towards the local reality, believing that if the factors of land, labor and capital that have been left out of the equation are land and labour then somehow local commerce, local activity, and local collaboration end up reafying the factors that capital doesn’t. I’m all for having a way for the truly decentralized mass scale projects that need to take place to use the blockchain, but I’m finding it hard to see why we, in our little town, would need a blockchain to orchestrate our putting together of our local park or something like that. I don’t know how many at scale projects there are. There are some at scale commons to look at. My current work is so based on restoring face to face, local contact and activity that I’m looking for how the blockchain can assist that and how large, at scale projects can help us work on all the things that don’t really happen at scale and are not obligated to go to scale, unlike silicon valley seems to tell us. I second everything that Douglas says – I absolutely agree about the externalities of capitalism. Capitalism has been very good at externalizing costs whenever it felt like it and we see this with the blockchain. Energy use is the undiscussed elephant in the room. Having worked in the solar industry for years, this is obviously close to my heart. You can see the quantities of energy being consumed is absolutely off the scale and yet nobody is really doing anything to address this. I’m interested in the solar coin and the idea that it may be used one day to incentivize the installation of PV around the world. But we have people running off and talking about this idea – the Solararity – the point at which one solar coin becomes so valuable that it will pay for its own PV installation. This is like magic money that’s come out of nowhere and it’s so self referential that we’ve sort forgotten the realities of the world that Douglas was talking about. I completely agree with the park scenario. Probably the best way to organize my local park is to get together with the people in the park and just talk about it rather than trying to build a blockchain. I see that as quite farcical really and I’ve maintained a healthy skepticism of those systems for quite a while, which has made me a few enemies in some instances but I hang on to my principles quite strongly here. We can say that blockchain was built to help anonymity as its central core construct. As Douglas was saying, I don’t have to trust you; I can be anonymous and still do business with you. What I’ve learned from my many years of marketing is the better way to do business is to actually build up a long-term relationship with somebody. If I know who you are then you’re likely to trust me and, if I don’t rip you off the first time, then you’ll trust me more the second time. As we continue to interact and do business, we can build up levels of trust whereby we might even be happy enough to give each other credit – lo and behold – and really trust each other. This is now the situation I have in my local shop. I’ve been shopping there for a while. If I forget my money, the guy doesn’t charge me, I just pay him the next time. They don’t even write it down. There’s numerous people that work in the shop so they never even know if I’ve paid, but we trust one another. Because of this, I think blockchain is up against a wall. I think those two factors combined really don’t point to a very sustainable future for that technology. I don’t want to undermine what it’s achieved because I think it’s liberated a lot of the thinking about the way digital technology can be applied to the commons and to creating collaborative structures in new ways. That to me is the most exciting thing, but I’m holding out for newer technologies, which is why I’m so excited about Holochain and everything I hear coming out of that project. I’m very keen to hear more about that. We’ll be hosting Matthew and Art from Holo in London in July and perhaps Ferananda can expand on what they’re doing. I’m particularly interested to hear about the Commons engine, which we wait to hear about with bated breath. When I talk about the blockchain, I think about the Wright brothers inventing the airplane and they did not invent a faster plane. They just invented the plane. They didn’t consider the need for airports and all the infrastructure that came after. We can think about the blockchain as something that has showed us there’s a possibility for humanity and decentralization that we haven’t seen before. It’s an innovation, but it’s not the faster plane and it’s not the best plane. Bitcoin is in the same category. In the case of Holochain and Holo, a global consensus doesn’t make sense because nature does not work that way. As an example of this, we can see that cells carry their own instruction set, their DNA – inside. They don’t have a record of every state of every type of cell on what it is that they’re doing that is not needed. It’s extra complexity, in the same way that speakers of a language can carry the means to generate sentences, but they do not have every sentence that has been spoken in some way or another somewhere. It’s not the way that nature works and that’s why, in my opinion, blockchain can’t work. The other point that Douglas made was tokens. Decentralization is not about tokenification of everything. It’s about flows. It’s about people. It’s about what people can do together and how we organize our actions and coordinate ourselves better, which is kind of the central conversation for today. In Holochain, we think about agents. so we think about each person. If we take the example of the park: if it’s 20 people they can organize without a ledger, but if it’s a 150 people and there are agreements that every agent needs to know in order to be able to participate? They can track their contributions and they can track things about the specific time set for things and so it would make sense, but it wouldn’t be about a token. It would be about the flows of coordination and cooperation and what it is that they want to see. Currencies help us in the definition of Metacurrency as a way to make visible, enable, or shape a flow so in that regards, the technology should enable us the capacity for holopticism (capacity for the parts to see the whole) to be able to see the whole so that the parts can organize themselves themselves better and be much better players. I’m going to build off of Ferananda’s kind of construction because I do think absolutely a biological analogy is very appropriate and when we’re thinking about these structures. Before I do that, I want to make one tiny clarification about the word “blockchain”. Blockchain is also substitutable for the word network. Whatever disillusionments you have about blockchain, they should be roughly equivalent to your disillusionments about databases or networked enabled databases. I want to show that RChain can run on a tiny, Raspberry Pi-like device that takes almost no power to run. The idea behind RChain is that you can get the energy requirements down to very, very low power requirements so that you get a lot of this stuff without the energy and I think this is very important. This is not a Raspberry Pi, it’s a Pine64 because I wanted a 64-bit processor (as opposed to a 32-bit one). This will run an RChain node just fine. It’s got expansion ports to do storage which is kind of important in our land, but this doesn’t take a whole lot of energy. Ideally we’re looking for the sort of compute power of the human brain with the same power requirements. A few watts of energy for that kind of output. That’s still a long ways off, but that’s where we’re headed. I think decentralization and say, cryptocurrencies in general, might be important for your local environments, your local communities. If you look at the biological inspiration for a lot of what we’re trying to do here, organs are specialized cells and those cells communicate with the other cells around them and then higher-level organizations create higher level structures. I think it’s important to note and to understand that Trust is very human and very relevant in a local setting and there doesn’t need to be infrastructure for that. However, I think it is also important to know that those structures should organize in groups to create larger functions and larger organizations like societies. I won’t add much to the conversation about consensus protocols other than to share some of the sentiment around the fact that mother nature never needed global consensus for anything so I’m not sure why we think we might need it now. 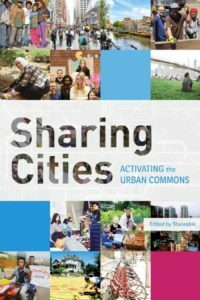 The interesting reference to cooperating locally and reference to, for example, local parks is of course the local park is no longer the local park because it’s no longer analog, the digital and analog are now so interweaved that there’s no distinction between being on- or offline, then melded. Whether we like it or not, a free public space – according to our cultural norms called the park – is actually very much a privatized digital place if you are subscribing to some of the major social networks for example, or major website services from the so-called big five. The opportunity that I see in shared ledger technology is localizing, not necessarily localizing geographically, but localizing people to come together to cooperate. However, I am pretty cynical when it comes to people telling me that these technologies render trust trustless because they are purely mediating. They are connecting people who have grown up as social animals. We’re smart because of culture; we don’t have culture because we’re smart. We’ve got to get that round the right way and realize that we do need to extend the mechanisms by which we establish trust through the technologies true to each other. than that. Once we’ve got something that’s glued apart, there are so many other things that we need to grapple with. As part of my role at the Digital Life Collective, we’re trying to actually assemble what that stack might look like. I’ll just share a link here to a post that describes this Internetome: the physical and the digital that tries to come together throughout the entire stack in a trustworthy way that shows that there’s so much more to do yet than just rely on a crypto network. Our apologies for being hacked. It’s very ironic in the Tech We Trust conversation to have this panel be the first one and be the first example of that. I just wanted to make one note about flows and this transition from mechanistic thinking to ecological thinking being really a transition from nouns to verbs. Resources are scarce and economies are based on scarcity, but wellness and well-being and all of these things that we do monetize with these nouns that we hoard money to support are not actually scarce. Community well-being doesn’t need to be scarce, it should be abundant. The difference between scarcity and abundance is like the the difference in flows there too: the difference between nouns and verbs. Can we hear from the panel what common patterns of collaboration you’re seeing in your communities that you would like to more broadly see globally? I guess the main thing that I’m seeing is what you’re just talking about. The shift in people understanding money less as a thing that I collect and more as a utility; people understanding that the growth of capital is less important than the velocity of currency. I think they’re starting to understand, on the simplest level, that their businesses and enterprises do “better” when everyone else in their ecosystem is rich rather than poor. That’s the opposite way that most people have looked at business for a long time. The positive contribution that blockchain makes to this – and I’m not saying that it won’t make future ones – is mental, it’s psychological. In other words, once the primacy of a central authority is undermined by peer-to-peer authentication we realize we’re using all these central authorities by choice and we are actively surrendering our authentication authority to this authority or to that authority and they don’t have to accept it. They originally did enforce it. Philip the fair of France sent the Knights Templar out to make local currencies illegal and they killed people and that’s the way they got it. It’s now become so embedded that we’ve forgotten that there’s all these other ways of doing business; ways of transacting. I do think that these technologies and ways of thinking have trickled out, I wouldn’t even say down, but they’ve trickled out to the world at large where people are. I know programmers who don’t want to go work for Google and Amazon, not just out of some “anti yuppie scum” style ethos, but because they understand that personally they’re gonna benefit, their family is going to benefit, and the community is going to benefit if they start operating in different ways. I’m seeing tremendous shifts in what people are doing, the way they’re behaving, the aspirations that they’re holding, the way they’re understanding value exchange, and the way they’re understanding even really primal notions like security. What does security mean? Security may be having enough money to insulate myself from a world that I’m afraid of or having enough friends in the world that I don’t need to insulate myself from it at all. I’m certainly seeing tremendous positive shifts, but I don’t know if they’re going to happen fast enough. Oliver, can you talk to that to in terms of co-op funding and where coops and the VC models might split and change economic flows that way? I was going to go in a slightly different direction, but I’ll try and pick up on that. I think the exciting part of “the money”, the cryptocurrency conversation that has largely ignited because of the advancement of blockchain and Bitcoin is that it’s kind of exploded out this concept of “what is money?” Suddenly there’s this debate about the nature of money, which I think is excellent and it’s something we’ve been missing for quite a long time. We’ve all kind of signed up to this monetary contract that’s been sold to us since birth, which is fundamentally a flawed kind of pyramid structure. We’ve all just swallowed it whole and only now we’re starting to see mere mortals challenging the concept of what is money. I see chats from the internal discussions within banks and similar things being discussed at a kind of pub level about what could we do if we had a token that did this, and a token that worked in a certain way. I think Douglas is onto something when he addresses our aspirations, and questions what are our aspirations. I think the idea of insulating ourselves from the rest of the world in order to keep it at bay is pretty much where most people have got to, but I think this concept of digital currency is changing the perceptions of wealth. We need to start to think about what it is that makes us wealthy, not rich. When you ask people about their wealth, it’s normally things like their friends, their family, and their health. You find health is actually one of the most important aspects of people’s well-being and the more that they can improve their health, then the happier and better the lives they will live. I think that what I’ve noticed in terms of collaboration and certainly within the cooperative world that there’s a real interest in increased collaboration and cooperation between coops – the principle six that we all adhere to so strongly, but are really failing to pull off. The place that I see actually the most realistic and real cooperation happening is on GitHub. I think that GitHub is an amazing example of the advance of our ability to cooperate. There are people on there making small changes in independent decisions about the things that they branch and change, and the things that they develop in their own way without having to wait for some central authority or some AGM at some cooperative meeting in order to push things forward. To me that is the kind of the crux of cooperation that’s the kind of new place that we need to get to, whereby there’s a kind of framework within. I think this speaks back to Philip’s idea of a different stack. If there is actually a place that I can go to forward a proposal or actually do some work on a proposal that somebody else has put forward in order to further that project – possibly even with the incentives that others were mentioning – and be incentivized to actually contribute to the Commons in that way, not just for software, but for other types of projects then I think that’s the space where we’re going to see a collaboration at scale actually happen. I think, as far as I have understood it, RChain actually has a mechanism for making that happen as well, which I’d love to hear more about. What I’ve understood is that you have a reward structure within RChain that I can come and suggest what seems like a sensible project for us to be working on and that I value it to be X or Y. Then if somebody else comes and does the work and delivers as a result, they can the collect the reward. If I do that, even though I’ve proposed it, it may be it’s possible for me to claim the reward. Let me unpack that a bit and make a few points of clarification. What you’re talking about is something we’re calling a sort of bounty program and, just for everybody’s awareness, that’s what Oliver described and it’s very similar to what’s going on right now. You can go to a platform, propose some tasks that should be done or might need to be done, perform that task and then be compensated in some way. Typically this is probably what you would might consider a workers co-op. RChain specifically is a consumer co-op so there is a little bit of friction there right now and we are absolutely still trying to work through it, but the idea that we want to attract people to come in and create value is very much what we’re what we’re looking to foster in in the platform in general. To take that idea and just slightly tweak it because we’ve been talking about money. Typically what money has been and for the last several hundred years is something we call “fiat” it’s a dictation from a central power. I think money should be something more like value, which is the same thing as the difference between wealth and riches. If money is something that is produced, a good work or value or anything else like that and that’s where it comes from – from the bottom up – I think that could very easily be a transformative way of organizing our society such that those people with the most resources are the ones producing the most value. That was what “capital” was supposed to do: if you create value than you would get it, but it really ended up being just marshalling resources or at least building walls around them or something like that. However, these technologies – not just RChain, but all of these decentralized ledger technologies – allows these types of things to be created. Similar to what Douglas was saying about local currencies: those have real impact and you’re willing to take those currencies as a medium of exchange because of the local trust. We can’t barter – that’s just not really a thing that we’ve really ever done. In small communities, you can just help people. There was never barter in prehistoric civil society, you only exchanged things, when you were trading with people you didn’t know because you needed some mechanism to do that. Having tools to do that again could be really valuable and, because they’re digital and they’re easy to move around, we can have lots of them. In the days of paper money it was really inconvenient to have different kinds of banknotes. People wanted to have more easily recognizable money but now it’s different. If they can flow between each other and the value is created at the point of human contact, I think that’s a really powerful thing. I think we’re experimenting with that with platform coops at the moment. Being able to kickstart something using a currency or a token that you’ve created has the same feel to me. I’d like to see lots more of these experiments happen over time. I really think there are experiments and we not really sure how they’re going to work out just yet. Just to my point earlier about working through blockchain and out the other side of blockchain-type technologies. It’s all very good talking about the recognition of value exchange – the recognition of reputation as a proxy for accountability – rather than an end in itself, but we’re still talking about people coming together to cooperate on a common purpose to try and create mutual value. Apart from the stuff that can get machined/wrote, we deal with exceptions, we converse, and so, when I think about the difference between the IT mindset and the human mind set, I always think in terms of this chart from Paul Pangaro and Hugh Dubberly. 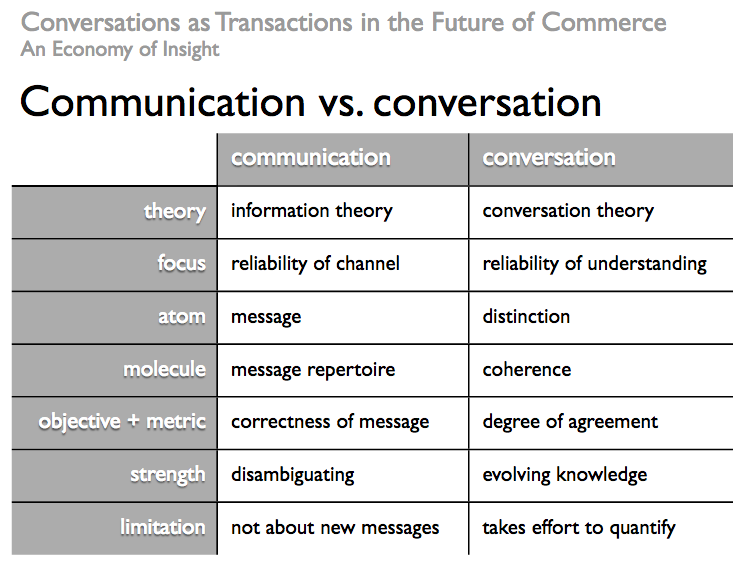 This chart contrasts communication theory Shannon with Pask’s conversation theory. As soon as you just compare and contrast here you realize that to me, as we’re trying to mash digital and people together to work beautifully, that one table tells me how incredibly far we still have to go. To try to relate with something else. I see we need new definitions of wealth, capital, value – all those things cannot get confused. We need a new ontology. It’s like when you have a spiritual experience and then somebody asks you how it was. It doesn’t matter how much you describe it, it will be undermined because you don’t have the language to describe it. In the same way, we don’t have the full language to describe all the means to represent wealth or well being. In MetaCurrency we say deep wealth is not tradable and we have an ontology of how to define different levels of wealth that will help people get out of the stuckness of tradable wealth of products and service, all the way to our evolutionary capacity of potential wealth that we’re creating together. This might not be the most visible in a given moment, but it will then become visible through time. Just like people think that rain just moves downwards because we’re not seeing the upward flow. If water didn’t move up, it couldn’t move down. It’s just that we don’t see it. One aspect that has been part of my work has a word in the dictionary: “wealing”. Wealing would be to wealth what healing is to health. What if we’re in this moment when we’re wealing better and for that it’s a question of how do we constantly put value back onto the table. We have money to work with and, although we can say a thousand things of why it doesn’t work, it’s still part of the field so how do we work with that to be able to create flows that go upward instead of go downward and not hoarded, but liberated so that we can create more freedom for ourselves. That’s how I feel that by Holo being successful with our ICO we have the imprint of working differently with the flow of money and financial capital that has come to us to be able to then create value that is not tradable, but that is measurable and some of which is just acknowledgeable. It’s perfect for us to be able to see it and recognize it, because it’s human value. Jonathan was going to speak about biological metaphors and then Jim. I really don’t want to steal too much fire from Ferananda’s brilliant disposition so keep in mind what she said because I think that was all very valuable. I want to double back to Philip’s comments before that alluded to biological metaphors and how they may or may not apply to blockchain. I want to start with an analogy about analogies. If one finds eggs inside of an airplane, one should not therefore conclude that there are stewardesses inside the bird. My point is that analogies are useful and to analogize a bird to an airplane in terms of their aerodynamics can be very useful in some ways. Analogizing an airplane to a bumblebee is not so much. When we search for these analogies, we have to think not just about their applicability, but also the levels of selection and the levels of the analogies. When we think about analogies about blockchain to biology, are we thinking about ecological systems, are we thinking about organism existence, are we thinking about the cooperation of cells within a body, are we thinking about host-parasite relationships, are we thinking about community food webs…? I know, as an evolutionary biologist, I’ve studied this stuff for decades. I know that there are sound and valuable analogies to draw, but we need to put the straw in the right place. I come from ecology as well and I am really interested in how organizations and communities are literally living systems. Throw the analogies out the window, to some degree, and figure out what we know about living systems that actually applies to us because we are living systems as physical organisms and we are having flows of information go among us so I’m interested in the literalness of how we can apply some of these ideas. I wanted to initially talk about the decentralized RChain bounty system that Kenny covered. Oliver and I had discussed previously and it was fully decentralized. We’re putting some sort of centralized aspects back into it because a lot of leaders don’t see the value that the system is producing. I wanted to address also the idea that face-to-face is the greatest bandwidth and the best communication and RChain has on its program to put in physical locations all around the world. It’s putting in one in Germany and then Asia and hopefully have places where any RChain member can go, anywhere in the world, and work with people face to face. I also wanted to mention that not everything is going to be face to face and this is where you can have a public ledger in which anybody can post and anybody can access. They can create long-distance connections. In some cases, the low bandwidth chats are valuable enough, and then we have zoom sessions like this for when we have even greater bandwidth. I think you know it’s helping to mix modes of communication. If we focus only on local connections, we’re not going to be developing the same habits and language across our cultures in order for us to operate in a way that’s compatible – like every group of kids develops their own language. Bees or other species that share much the same behaviors across the species can cooperate with their environment as a species. Jim, if I can come back to you with a little bit of the conversation theory. Organizations are reified by sets of relationships that preserves through their language, and organizational change is only understood then in the context of these essential relationships. In effect, I agree that narrowing the language increases efficiency, but it also increases ignorance and inflexibility. If an expanding language increases opportunity and you only can do that on a more holonic, nested interpenetrating system basis rather than some kind of global ontology, in my opinion. I wanted to give the floor to Douglas because he has about seven minutes left. I’m learning a lot and and I had a similar insight to Christina’s about the difference between metaphors and real stuff. Informing people that they are part of the same nervous system and that dealing with their neuroses and problems isn’t just to make their own lives better, but to make all of our lives better because we’re sharing a nervous system. It’s not a metaphor, it’s real. Once you get that, it can change the way you think about things. The technologies that we’re using are still symbol systems. I’m sure they interact with others, there’re still atoms at play and the way they move and all that, but we relate to them as symbol systems so that they’re always going to be experimental; they’re always going to be language based; or art in a sense; more than they are – or at least as much – as they are physical things. They’ll manifest as dumbwaiters and slavery and pollution or real farms and community ownership and all that, they’ll manifest in the real world – but what’s delightful about them is they’re fungibility, that they are metaphors and we’ll choose then to respect their rules and all. When I talk to RChain people, as opposed to most of the other sort of blockchain people, I feel like the RChain people, and I feel like Art Brock and the holochain people, they sort of get that “oh, wait a minute we don’t have to follow any f**king rule.” This is plastic, we can program. We’ll see if reality can conform to this, but this is the digital age, these are the digits, we can move and make this thing so that’s the part that gets exciting to me. When I hear “screw proof-of-work, screw that”, let’s just get proof of something else – proof of state, proof of love – let’s go with that. It’s not touchy-feely weirdo hippie in terms of that, it’s touchy feely hippie good. There’s a rigor that we bring to it once we accept its plasticity. I feel like whenever we go plastic, whenever we accept the symbolic nature of it, it says we’ve thrown rigor out the window, but it’s quite the opposite. That’s the only ones who are actually bringing rigor to the table are the ones who are accepting responsibility for genuine world creation, for just how real the choices we make are, and how free we are. We are as free of the underlying assumptions as we can make ourselves and that’s sort of the challenge. What can we recognize as an artifact or some other way of doing things, so free ourselves from it and then build build what we actually want to do rather than succumbing to some false historical legacy. I love that what can, and cannot be designed, because living systems cannot be designed. That line is the same line as where it is and is not a metaphor and where it is and is not a living system and it’s also the line between biology and culture, it’s fascinating. I want to invite anybody else who has questions or wants to chime in since we have few enough people. We’re gonna get a little technical here, but I’m not gonna throw any calculus at anybody, but we are going to start with calculus. The underlying calculus called the Rho calculus is a model of computing – how to make a computer – which is just message passing. There’s a lot of other parts to it, but essentially that’s what it is, you send a message and it has an output and then an input and most things connect and that’s like a step in time. If you think about the real world – like physical, actual physics and systems and things – in human societies, we send messages to each other in the form of all kinds of different messages, either text, or speech, or something else. Then that gets processed in our computer, or our brain or however you think of it, and then there are actions that outpour that have continuations. Then the sum of all of these continuations, interactions is our society. Rholang is explicit and structured in that way so that you have channels of communication: beginnings and endings, and continuations and pauses, and things like that, so it very much matches the real world. This gives me a lot of hope that the way that we’re doing computation, or making our computer work, means we should be able to hopefully write contracts or write programs that are very similar to what it is that we normally do on a day-to-day basis anyway. If not being able to do that with an actual pen and paper, or a computer and writing syntax into it, or maybe an “Alexa” where you speak to it what you want it to do and because the underlying computation works this way, it will actually create the contract, and if it’s never been seen before it will actually compile and compose the different pieces together to execute your command in that sense. I think we’re actually getting closer to that realization in the coming years or so. Can we clarify the statement of the word “contract”? A contract on Rholang is a program, but it’s a contract on me in that when I enter this the network is algorithmically constrained to obey those rules. It’s a contract of the behavior of the network according to your rules. I see Adrian’s hand up so I want to invite him to speak and then Jonathan and the panel can jump in as they like. Adrian’s having a problem with his microphone, so does somebody else have something to add, Connor maybe? Other than that the end of that conversation was extremely thrilling and I still feel like I’m back in that phase processing it. Yeah, I have to say thank goodness this is recorded because I’m gonna have to watch some of it again. One of the questions that I return to on a daily basis is just this question of trust. It was referred to earlier – about the idea that you have to have a series of interactions in order for trust to accrue over time and if there is a crisis of trust in our society at the moment, it is because we don’t have the time to build up those relationships one-to-one. The digital media just introduces us to multiple sources all the time, it’s just bombarding us, and we don’t have the opportunity to build up trust in the old evolutionary sense. If anybody on the call has any ideas about how technological mediation might, instead of erode that situation, actually enhance it, I’d love to love to hear your perspectives. From my perspective, what you were just describing is the kind of trust that doesn’t scale. There’s just not enough time to build up that level of interaction. I don’t think we should quote “try to”, neither do I think we should substitute that for some other structure because then we’re in the same place. It’s not trust here, it’s trust there, or whatever. I think it’s actually more interesting to be thinking about the same things that we’ve been doing for thousands of years, which is building trust between about a hundred individuals or so, but then how those hundred individuals can connect and interact in order to create higher level structures and more interesting effects. If you look at this from – Jonathan please correct me if my metaphors and biological analogies go off the walls here – in the beginning, in the evolution, you have these single cells and then eventually they figured out how to cooperate with two, and then four, and then larger organisms. Then some of those things specialized in two organisms and you eventually get an explosion of life. But it took billions of years to get from simple life into multicellular life. Once you had multicellular life, you had many, many different kinds of cellular life and to some argument the only one that is self-aware or at least self-aware to an extent that it can understand its own consciousness is our own species. We are at the cusp of something evolving that is aware of itself in its consciousness and I absolutely think that there are already organisms alive that we are a part of; meaning these societies and groups. I think these are absolutely in existence today and they have consciousness at least at some level just like I think my dog is actually mostly consciousness as opposed to intelligence. They’re there, but there’s gonna be a variety of those things. The way I conceive of this is something called “group intelligence”. We’re all aware of these ideas of an organism that is self-aware, that is higher order than us, of which we may or may not be able to communicate with back and forth above and beyond these levels, but can actively produce changes in our environment – maybe not for any one individual’s benefit before the collective benefit. Just like we shed skin all the time: we’re not really that concerned about parts of us leaving, but we’re very concerned about the whole. I don’t think we have – to mix metaphors and analogies even more – I don’t think we’ve had that Bernoulli effect yet which is the effect that we discovered in order to make airplanes. We were trying to flap our wings, but it’s actually just air moving over the top creating higher pressure and lower pressure. After understanding that, you can do all kinds of things. I don’t think we’ve quite come to the Bernoulli effect of group intelligence yet. We are very focused on our tools but we don’t think we’ve got the spark. My question had to do with the analogy that was made earlier around GitHub and how that decentralizes the ability for communities to work together and my question is: since we have RChain and Holochain proponents in the group, why isn’t the key issue of blockchain’s disability to fork that actually is what makes GitHub so powerful? In other words, how can there be just RChain or Holochain as opposed to a generalized fork capability in the token universe? Holochain is designed to fork freely as its nature analogy. RChain, on the other hand, doesn’t fork naturally, but it can fork and there’s certainly provision for it forking; they don’t expect that it will never fork. It, in effect, creates a local consensus in the same way that Holochain does in that if I sign something and you signed something, that’s good enough and in RChain there’s a namespace where that exists and there’s consensus in that namespace. My point is that the only way to have self sovereignty with respect to technology is for it to be based on standards. To the extent that we’re not building these communities on top of standards that allow both the individuals and the communities to very easily switch from from one kind of technology to another because we’ve layered stuff on top of standards, then I don’t think we’re doing a good enough job. Bringing that back to a technology that seems to be very standardized and works very well for lots of people, like plumbing, would you suggest that technology should also be able to hard fork? What I’m saying is, for instance the analogy of what’s going on in the self sovereign identity group where we start out with the idea that there are going to be as many blockchains and as many methods as there need to be so that we can migrate from one technology to another. Plumbing is about two hundred years old and, like the airplane, I think it’s a little bit like the stewardess analogy with respect to that. I think a good model for the best of how blockchain can work is in the DIV self sovereign identity world. I want to chime in and just say, in answer to Philip’s question, I think that if we all stood up straight and breathed as humans in bodies, with spines and lungs, that a lot would change, a lot would get better. So I’m actually curious about how technology can remind us to breathe and be more human. I actually think that that grounding in who we are will enable us to bring more of ourselves into virtual spaces and connect even though it’s Zoom and maybe you can’t quite make eye contact or what not. I think that’s the perfect response to Kenny’s assertion. With all due respect Kenny, we’re not talking plumbing, we’re talking about mediating technologies as I know you know. You know the phrase “the medium is message”, not only is the medium the message, but the medium is increasingly us. We are on the cusp of redefining what we think of as a human from just mere biology, psychology and sociology. We’re now making ourselves informational and interfacial; we are prostheticizing ourselves in order to continue to interact in the real world, which is now digital. So to disconnect, or just to choose to evoke something like plumbing: we either turn the tap on and water comes out, or it doesn’t, is I think denying the inherent complexity of this stack, that is becoming us. Oliver can you translate for me? I was going to go back to the Bernoulli effect and try and point to that in human terms. I think that’s what people are referring to – it’s like bringing the human into the technology. In terms of your Bernoulli effect and what we’re looking for here in this thing, I would describe that as shared values and shared principles. To me, the thing that helps people actually cooperate is when they realize that they’re going the same way, that they’re heading the same way, that’s what’s good for me is also good for us. We’ve kind of been born into this matrix where the fundamental “homo economicus”, raison d’etre, is I’m born to earn money and compete with you. That’s the ultimate axiom on which operate and if we manage to change that, to show people that actually the thing that is good for me can be good for you too, then we naturally all end up heading the same way. At the moment, most people just don’t believe that. They don’t believe that something that is good for me, can also be good for you. This idea of contributing to the Commons just doesn’t really seem to exist. If we can actually incentivize that, prove that to be a fact – it’s the kind of prisoner’s dilemma all over again – and the more that we conduct those, the longer we play the game for; the more we’re locked in the same cycle together, then the more reason that I have to cooperate with you. Well that depends on the cycle that we’re locked in. The medium we’re using for this interplay where contributing to common benefit seems to be a detriment to myself. I mean hey, I don’t want to look after you guys, I haven’t got the time. So we are all isolated by an economic imperative that is structured by the medium that we use to mediate our relationships. We use money that goes through, that is linear, extracted, unaccountable in itself – it goes where it damn well likes. We could be using monies that go around and are accountable and are measures of our relationship, our integrity, our interplay. I mean cooperation means agents are giving and getting in a persistent process it helps them all – end of rant, excuse me. Next! I want to appreciate what has been said about human consciousness in a self reflecting capacity and I’m bringing a concept of what we call expressive capacity, which is: we’re creating new languages, we’re creating new tools to be able to express ourselves better so what makes my dog, my cat, and my bunny rabbit different to the bee is an expressive capacity – a capacity to express its own consciousness. So the way I think about this and one of the things that is very exciting to me about Holochain and other technologies is that it’s like DNA. We don’t know what new life will come and this new life forms, in the way that we’re speaking about it here, social organisms. Those social organisms will then have their own expressive capacity and will create their own agreements and their own rules, and some of them will have the principle of get mine and grow ours in them. Get mine is awesome, but grow ours. As we grow ours, then it’s totally okay to get mine, so nice! I think that one of the aspects that happens is that a scarcity consciousness of oh, no no no no no,… I must hoard to get mine because if I grow ours and I don’t get mine… As you say Oliver, if we can show that if we can make visible those places, even if they’re small right now, that actually reverting more and more abundance, that would be awesome. One of my experiences with working with complementary currencies even if you tell people “hey it’s free money, it flows, its from the community” they still think scarcity! They still think it operates the same as money and it’s difficult to get them out of that mindset. I’m saying it isn’t negative, you have received and it’s your chance to give, but it’s very embedded in our culture. I don’t know how many of us were party to the Yanny or Laurel auditory illusion? The other day a voice transmission could be heard as either Yanny or Laurel. If you listened to the high frequencies you heard one and not the other. I heard Laurel because I’m older so my ear systems don’t hear the higher pitches and my wife hears Yanny. We can’t hear the same thing because our internal filters prevent us from seeing or hearing what is being transmitted. I feel this is the nature of the problem that we’re facing at the moment: we’re all asking for the same thing. Cooperation at scale, humanity, ethics, integrity, etc, etc. And we’re all looking for accountability, and that accountability I submit, has to start with the agent: the person who says and does. It’s about what you do and what you say and whether that is an accountable process that contributes to the whole. we’re about to stop recording, so are there any last things to share? What would he fundamentally understood and observed was that in that hunter-gatherer thing, which we’re never going to be able to get back to again given the planetary constraints from the sheer number of our people, we’ve created this thing called money, which is this disintermediation of our effort to our needs. We work to get dollars, then what do we do with the dollars? We buy the things that we need. Etc, etc, ad nauseam… So, as an evolutionary biologist, as a amateur cultural anthropologist, I hope that to some degree, possibly, maybe, blockchain technology might serve in part as a kind of disintermediation of money to needs. That’s wonderful, it reminds me of the metaphor from Ursula K. Le Guin from an indigenous tribe in South America where they thought of the future as behind them, and the past as in front. So they’re always walking backwards into the future, because they can see what happened, but they can’t see what’s coming. If only all of the futurists would look at history, wouldn’t that be nice? They still need eyes in the back of their head. To hear more on these topics, get involved and have your say, join us at OPEN 2018.